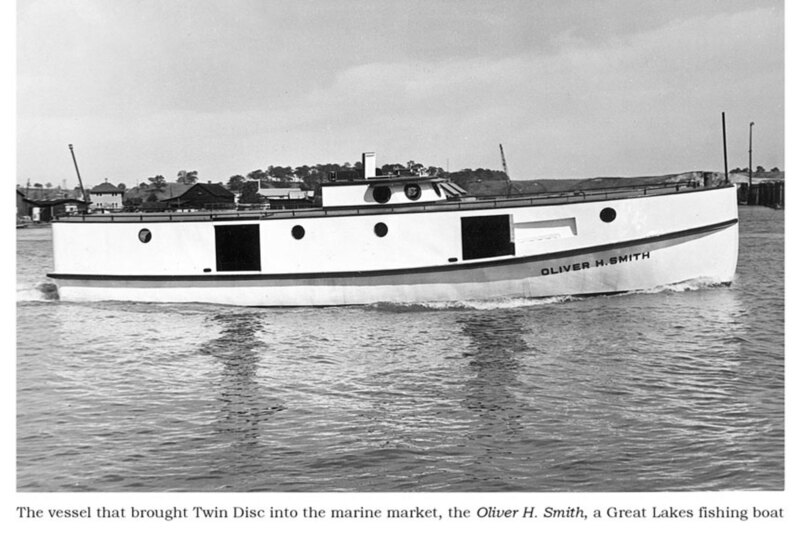 Twin Disc, a manufacturer of propulsion technology, is celebrating its 100 anniversary in 2018 with multiple national and international events that began in May and will run throughout the year. Twin Disc started in 1918 with P.H. Batten’s introduction of the twin disc farm tractor clutch. In the 1930s, the company entered the marine market with countershaft reduction gears that had 100 percent reverse power. During World War II, the company produced essential war materials including Higgins Boats and artillery tractors and was presented with an Army-Navy “E” Award. Today, the company is known worldwide for its propulsion equipment used on recreational, commercial and military vessels worldwide. Within the marine industry, the celebration’s schedule of events includes attending the International Tug, Salvage & OSV Convention and Exhibition in June, the Commercial Marine Expo, Fort Lauderdale International Boat Show and the International WorkBoat Show. Subsidiaries in Australia, Belgium, India, Italy and Singapore will also host celebrations. At its headquarters, Twin Disc will open its Heritage Galley in August. The company’s 62’ Maritimo demonstrator boat will spend the summer in Racine, Wis., participating in Salmon-a-Rama, the world’s largest freshwater fishing tournament July 14-22. The company will also host an international distributor meeting and participate in other local events.